So here is some copy. I usually cut and paste copy. But I want to add photos there are some options. Also you can set up Cross-Border Issues Group hyperlinks. In this edition of UNM News. . .
. . . Louis Etemadi reports on how small business retailers are coping with online shopping trends. Bianca Martinez shows how Albuquerque’s designated graffiti locations are doing little to decrease the tagging problem. Ashley Martinez reports on the strategy of using prescribed burns to control forest fires. Kirah Hitchcock has a report on Duke City models who struggle with body image issues. Jordan Unverzagt describes how the Hope for Hip-Hop Project, which hopes to clean-up hip-hops grungy image. And Samantha Aumack went to the closing celebration at Coaches, a local sports bar that meant quite a lot to quite a few people. Students in the Broadcast News I at the University of New Mexico produced this version of UNM News. In this edition of UNM News Briana Morfin reports on how decreasing New Mexico Lottery revenues spell trouble for the state’s Lottery Scholarship. Bridget Chavez describes how two ASUNM senators hope that student organization gets another $20 in fees from students next year. On campus protests over Israeli-Hamas fighting got heated, as Nicole Perez reports. And Chelsea Erven profiles UNM’s award-winning photojournalist, Junfu Han. UNM News is produced by broadcast students at the University of New Mexico. Click on photo below to see newscast. In this edition of UNM News. . . Briana Morfin, Bridget Chavez, Louis Etemadi, and Alyson Alford report that some students voted early and others waited in long lines on Election Day. Reporters Chelsea Erven and Ryan McGinnis profile local tatoo artist “Spider Loco,” and Jordan Unverzagt and Samantha Aumack Albuquerque’s home-grown “Dia de los Muertos” parade. In this newscast, UNM has chosen five finalists for the job of university president. UNM journalism student Stephanie Hoover describes the latest UNM research findings on breast cancer treatment. Paul Nikulin and Lindsay Douglass report on the precarious state of the aquifer that has historically met Albuquerque’s water needs. Reporter Anthony Roibal presents the latest figures that rank New Mexico as the number one state for deaths from drug overdoses. Barron Jones has a video pictorial from New Mexico’s Bosque del Apache bird sanctuary. Megan Eichhorn and Lindsay Douglas covered the UNM Queer-Straight Alliance’s third annual Drag Show. And Katie Fosterling filed a report on Mexican mask maker Felipe Horta and his trip to UNM’s Latin American and Iberian Institute. Newscast runs 15:34. Anchors: Adam Camp and Miriam Belin. Producer: Miriam Belin. UNM News is a web-based news site produced primarily by students in the Department of Communication and Journalism at the University of New Mexico to serve students, faculty and staff. The Lobo Gardens effort saw its beginnings in December of 2009, when then freshman, Alex Borowski, took it upon himself to plant the first ever on-campus vegetable garden near the Hokona residence hall. 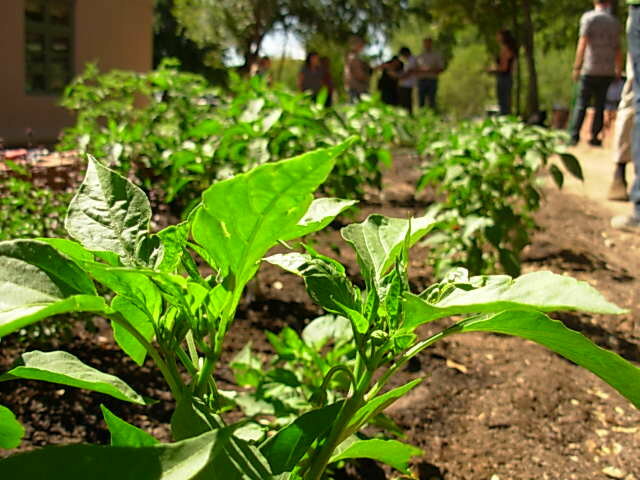 Shortly thereafter, Borowski was forced to uproot his garden by the University of New Mexico Physical Plant Department due to lack of permission, however, since then, Lobo Gardens have blossomed in four locations on and off campus, including the location of Borowski’s original garden. Read Erin Zimmerer and Jamie Garcia’s full story. In this newscast, Sofia Sanchez reports on the fallout from the failure of the Congressional Supercommittee to make long-term budge cuts. Adam Camp covers the Lobo Men’s soccer teams first round NCAA win over Duke, UNM hiring Bob Davie as its new football coach, and the men’s basketball team’s hard loss to the New Mexico State Aggies. And Anthony Roibal reports on a new scholarship program at UNM for Mexican citizens, including undocumented students. Newscast runs 10:44. Anchors: Adam Ornelas and Pol Nikulin. Producer: Adam Camp. The voice who shares the stories and history segments every day for the international radio broadcast National Native News is an Albuquerque resident and UNM alumna. Antonia Gonzales has been producing and anchoring the daily radio show for the past six years. Read Jaymee Bird’s full piece on Antonia Gonzales and her work. In this newscast, we update the status of the Un-Occupy Wall Street movement on the UNM campus. 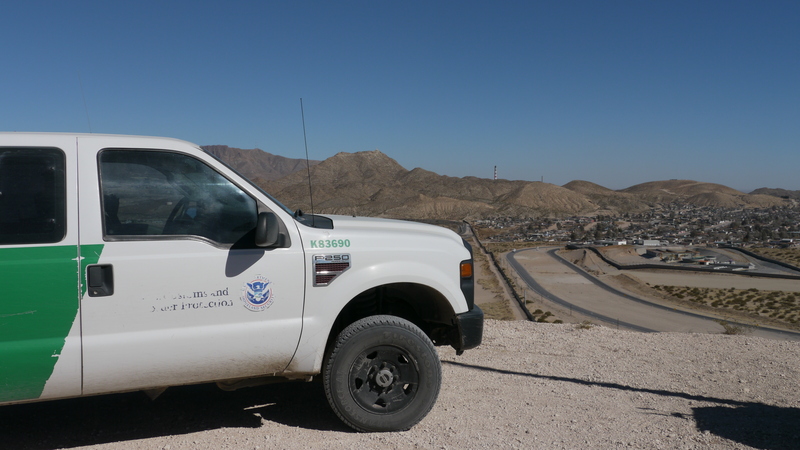 Jamie Garcia reports on the Society of Professional Journalists war of words over the use of “illegal” or “undocumented” to describe people in the United States without permission. Adam Camp covers the high expectations for UNM basketball’s Drew Gordon. Camp also reports on the senior night ceremonies acknowledging seniors Lance Rozeboom and Michael Green of UNM’s NCAA-bound men’s soccer team, and the Lobo Beat Kicks fans who support them. Katie Fosterling describes ROTC’s latest honor, and reporter Miriam Belin provides a preview of COSMIAC and UNM’s role in next year’s satellite launch that will take supplies to the International Space Station. Newscast runs 12:35. Anchors: Katie Fosterling and Adam Camp. Producer: Barron Jones.